This is the second in a series of occasional guest posts by authors and writers from around the world. I asked Leila Summers if she would write about what her inspired her lovely memoir, It Rains In February. I had read the book last year and was touched by her story and her risk-taking in writing her pain and loss. This week Leila wrote me: "I want to thank you for this opportunity. Being that the anniversary of my husband’s suicide is this weekend, I think that this was a very good process for me to do. I sat down tonight to begin my blog post, and found that it was easier than I expected, as I just wrote from my heart." I have always been a natural storyteller. My outlet was entertaining friends with stories over wine or coffee. A friend once joked that she found it fascinating that I could tell a 30-minute tale about going to the store and she actually found it interesting to listen to. People asked me why I didn't write my stories down, but I would only shake my head and chuckle, "I am not a writer." You see, my husband was the writer. He, his sister, and most of his friends were artists, musicians, writers, or other creatives. I was the wife, the mother, and the friend. A person who could be just as happy entertaining someone with my stories at a party, as I could be sitting at home watching a film with my family. Somewhere along the way, I lost my ability to believe that I could still be anything or anyone I wanted. I had chosen my life, and my life was to be a good wife, a great mother and a valuable friend. And, I was happy. Then one day, everything changed. 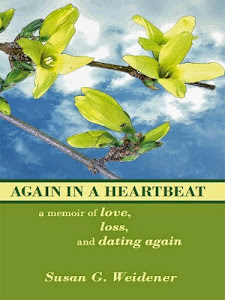 On February 1, 2006, my husband, Stuart, arrived home from work and unexpectedly confessed his love for another woman. A married woman whose children were friends with my children. I thought there must be some mistake, a misunderstanding, or perhaps, he was having a midlife crisis. But Stuart spiraled down into depression, becoming obsessed with this other woman, and my perfect life began to unravel along with his sanity. I spent the following year torn between my own heartache and trying to save him. Every day I treaded lightly, juggling work, children, tears, and threats of suicide. During this year, I kept a journal. I poured my heart onto the pages because there was nowhere else to empty it. I had to be the strong one for my husband, and for my two little girls. And so, I stopped being a storyteller for a while. I withdrew from most of my friends. I was needed at home. I had to try and keep it together, to make it okay, to save a life. On February 24, 2007, I got the dreaded call. Stuart was dead. His father said, "It's over." But it wasn't over, for me, or for any of us. I was a widow at the age of thirty-seven, with two young daughters, aged six and four. A month or so later, I picked up my journal and dared to read through it again. All the pain from the past year was there, as well as all Stuart's letters. I decided to type up the illegible tear-stained pages so that my children would one day have a record of the story behind their father's suicide. As I began to type, more words flooded out and the story expanded until I realized that I had the skeleton of a book. Four years went by as I worked for hours every night, the story growing and evolving as I filled in all the spaces. Writing became a part of my healing process. There were many times that I wanted to forget the idea of publishing, but something kept spurring me on. It was as if the telling of my story was as important as putting it out there for the entire world to read. Only after my book was published, and I was forced to officially call myself a writer, did I discover that another part of the process was to find myself. Stories race around my head all day, every day. They always did. I wake up writing and I go to bed writing. I wonder now, how I managed before writing. What did I do with all these ideas? Perhaps my world had simply become too tapered, and there weren't as many spaces for my dreams. I know now, that I didn't believe in myself. I didn't know that there was so much more to discover. I thought I was happy because I never questioned it. But my happiness was challenged in ways that I never imagined possible for my life, and in that churning, that profound and utter devastation and grief, I began a new journey, one of self-discovery. One in which I now find myself, a writer. Leila Summers lives in a tiny country village in South Africa with her two daughters and entourage of pets. She spends her days reading, writing and dreaming. Leila has just started writing her second book, which she hopes to publish in early 2014. Dear Leila, Excellent, heartfelt post. I admire your courage in speaking from the depths of your pain and loss and through it showing your journey of self-discovery and healing. There is a strong message of hope which to me is everything. I have "It Rains In February" and am looking forward to reading it.Thank you for sharing and Susan, thank you for featuring Leila. Your memoirs do the same, bring us into your loss and inspire us to believe in new beginnings. ....I'm well acquainted with 'treading lightly.' Thank you for your challenging and heartfelt post. Like Kathleen, I, too, will look forward to reading "It Rains In February." Leila, Good luck with the Kindle giveaway. If the past is any indication, "It Rains in February" will once again be a huge hit with readers and deservedly so. I also want to thank you for sharing how writing has become a mainstay in your life and helps you to move on and move forward. This is one of the themes of our Women's Writing Circle . . . that by sharing our stories we are all enriched and empowered. 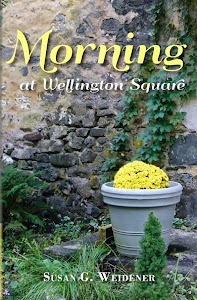 Kathy, thank you for your kind words about how my memoirs help us believe in new beginnings. That is the ultimate compliment I could receive and makes all the hours of writing and sharing honest and heartfelt pieces of myself as best I can so very worth it! Carol and Diane, Thank you so much for sharing your stories here in the Circle. And I do agree that it was brave of Leila to write such an open, heartfelt and honest memoir. 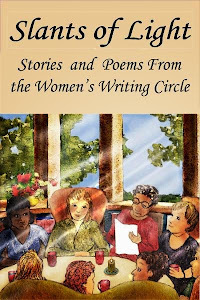 Thank you, Diane, for your comments about the Women's Writing Circle; it is a place to share our stories in safety and sensitivity. . .such a joy to see all of us "gathering" here. Welcome to the Circle. It is a surprise to find out that I couldn't live without writing. I am sad for those of you who have lost the love of your lives. I was nearly a statistic at age 20. Writing about my failed suicide attempt made me realize that the healing is possible so many years later. Thank you for speaking on new beginnings. I am happy to have found the Circle. It is a place of safety for me in a world that, as a young person,was so scary. Thank you for sharing your story. I'm well acquainted with "[pouring] my heart onto the pages because there was nowhere else to empty it." Turning those pages into a memoir and sharing it with the world is courageous and generous. I look forward to reading your book. Thank you so much to everyone for such a warm welcome to the circle and for all your comments! I'm grateful for the opportunity to share my writing with you. Leila, your path to healing through your writing was fraught with great pain and sorrow, but you have found the courage to share all that with the world. I applaud your determination and strength. Before reading this post, I had already picked up your book simply because I am fascinated by memoir and the description of your healing process by writing is the same as the focus of my blog. Now I can't wait to read "It Rains in February." 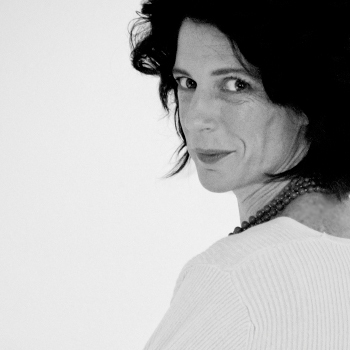 Thanks to you, Susan, for featuring another stellar example of women who write. Hi Sherrey, Leila's story is inspirational to all memoir writers. Thank you for stopping by and joining our voices here in the Circle, and giving us so much support and encouragement! Not only have you survived such a painful experience, but to be able to write about it for your children is truly selfless. It's a miracle that you've found your friend "writing" and that she's helping lead you to happiness. I've read It Rains In February and have a review on my blog. It was one of those can't-put-down books. 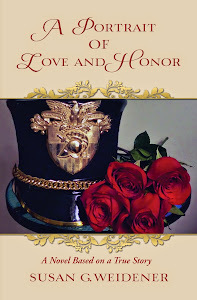 The way Leila's book spoke to me was how seriously Leila took her wedding vows. For better or for worse she chose to stay with her husband, showing unconditional love and patience. Many people would have bolted under the "worse" circumstances that Leila found herself. After all, isn't adultery grounds for divorce? Not for Leila. I would like to think I can only hope I would handle a situation like hers with the same poise and dignity that Leila does.